Bargain Villa for sale in Chirivel. 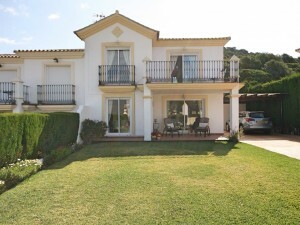 The fantastic property has 3 bedrooms, 2 bathrooms and a huge integral garage located within walking distance to the town of Chirivel. 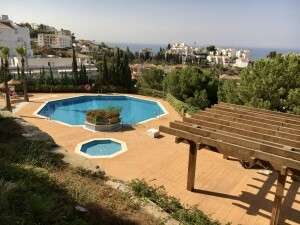 The villa is a great opportunity and is a blank canvas ready for somebody to make it their own! There are 3 spacious bedrooms and 2 bathrooms (one en suite).The photos show that there are currently no bathroom fittings, these will be installed prior to sale and water and electricity will be connected. There is a huge lounge area with a corner feature fireplace and double doors to the right lead into the large kitchen, although the kitchen isn?€?t already fitted you can get a good quality one for between 3000 & 4000 Euros. Off the kitchen there is a good size pantry also. Towards the end of the hallway where the bedrooms and bathrooms are there is the huge integral garage with an electronic lifting door. The floor is tiled so it could easily be converted into a fourth bedroom if needed. From the garage is a rear courtyard / patio area with a separate building which could be used for utility and it also houses the central heating installation. The property is mostly walled and needs a little TLC outside by landscaping the garden and tidying up. There is plenty of parking space and there would even be room for a swimming pool as the land is Urban.